The Hawaiʻi Police Department is reminding the public that it will make an “active shooter” presentation during an evening community meeting in Hilo next week. The meeting will take place from 5:30 p.m. to 8 p.m. on Monday (June 23) at Auntie Sally’s Luʻau Hale at 799 Piʻilani Street. 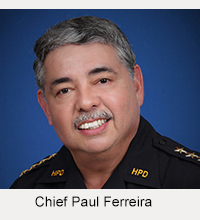 The first portion of the meeting will allow the public to meet the Police Department’s command staff and to discuss police related concerns with the police chief and commanders who oversee police operations in East Hawaiʻi. 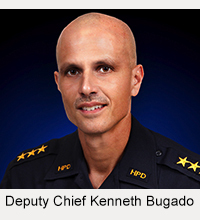 This meeting, similar to district community meetings that have been rotated throughout the island’s eight police districts during the day, will allow attendance by citizens who cannot get away during the daytime.